Zorch, Tape Bombs and other also have announced other party called South X South Mess. 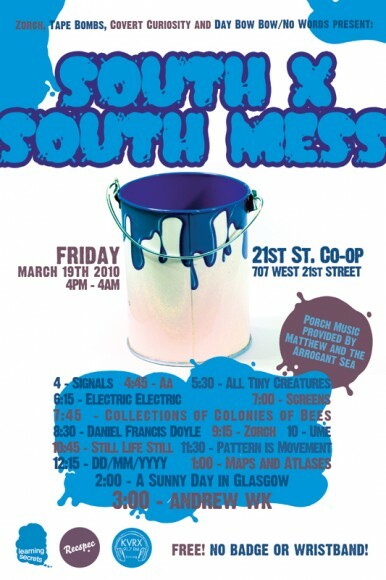 This event features Maps and Atlases, A Sunny Day in Glasgow and Andrew WK. The event takes place on Friday March 19th at the 21st Street Co-op and is free with RSVP.